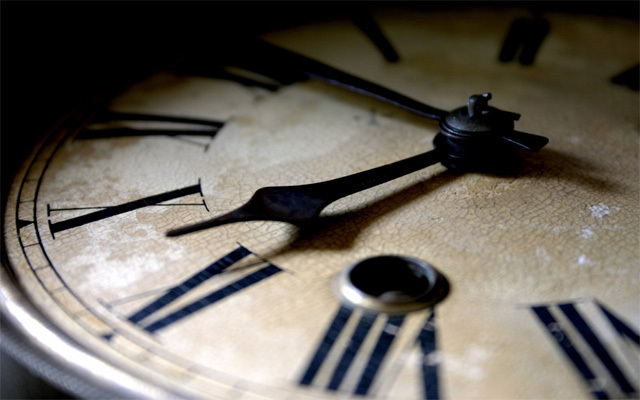 A new type of atomic clock may be a more accurate way to measure time, scientists say. The French researchers said the new device, called optical lattice clock, lost just one second every 300 million years. Currently, atomic clocks are used to count the seconds, but the new clocks proved to be more precise in tests and offered a better system for defining the second, researchers said. The atomic clock has proved to be quite an accurate method of keeping the world on time and since the 1960s has been used to define a second in the International System of Units (SI units). Now scientists in journal Nature Communications, claim the optical lattice clock could improve the precision. Just as a grandfather clock uses the swing of a pendulum to measure intervals of time, an atomic clock uses the very regular "vibrations" of atoms, the 'BBC' reported. The current systems, called caesium fountains, expose clouds of caesium atoms to microwaves to get them to oscillate. But the the new ones use light to excite strontium atoms. "In our clocks we use laser beams. Laser beams oscillate much faster than microwave radiation, and in a sense we divide time in much shorter intervals so we can measure time more precisely," said Dr Jerome Lodewyck, from the Paris Observatory. The optical clocks are three times as accurate as caesium fountains, which are accurate to one second every 100 million years. As well as comparing the optical lattice clocks with the current atomic timekeepers, the researchers compared two optical clocks with each other. They found that they kept time in agreement, and were also very stable.